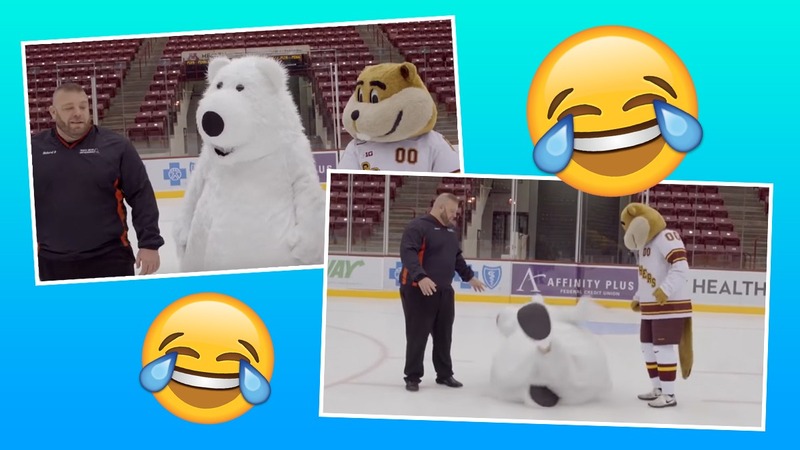 Watch polar bear mascot can’t stop falling over on ice skating rink during car commercial filming! You'd have a sore bum after this! Things didn’t go to plan for this polar bear mascot whilst filming an advert for Mitsubishi cars! The shoot was taking place at Mariucci Arena ice skating rink in Minneapolis, United States – which is super slippery! Keep watching for the last fall which is particularly funny!